Varicose veins are primarily swollen and twisted veins that usually occur on the feet and legs. They occur when the veins become overfilled with blood and occasionally caused by walking or standing for long periods which increases pressure on the veins of the lower body. Varicose veins and spider veins (mild variation of varicose veins) are a serious health concern to many people. It can cause discomfort and aching veins. Sometimes it may lead to more severe complications. It may also lead to a higher risk of several other cardiovascular problems. The function of the arteries is to transport blood from the heart to the rest of the body. Veins, on the other hand, return the blood from the rest of the body to the heart, the veins of the limbs have to work against gravity. Muscles of the lower limbs contract and expand and acts as a pump to push blood back to the heart. This process, however, can be affected by such factors as age and pregnancy, and may not have the power to pump blood again into the body. Veins lose elasticity as you get older. The valve in the veins of the limps gets weak and allows blood to start flowing backward instead of upwards towards the heart. Pools of blood in the vein becomes varicose. The veins change color to blue due to the deoxygenated blood in the veins failing to move up for recirculation processes. Varicose veins also appear in some pregnant women. During pregnancy, the volume of blood in the body increases but the flow of blood from the legs to the heart reduces. This change in circulation is made to support the fetus carried in the womb but can have series side effects with the veins. Varicose veins may occur at any stage of the pregnancy since the uterus exerts pressure on the body causing the veins in the lower part of the body to weaken. The changes of hormones in the body also have an impact on varicose veins. This type of varicose veins usually improves with 12 months after delivery without treatment. The risk of getting varicose veins increases as you get older. Aging causes wear and tear of the valves in the veins that help in the regulation of blood flow. The process of Wear and tear eventually allows blood to flow backward and collect in the legs rather than flowing up towards the heart. Varicose veins are more likely to be experienced in women than in men. One of the factors that could lead to this is a hormonal imbalance in women during pregnancy, menstruation periods and menopause. Taking birth control pills and hormone replacement therapy also increases the chances of developing varicose veins. Varicose veins are hereditary and may be influenced by one member of the family. It may be caused by the inherited flaws in the strength and structure of the veins. The flaws may range from defective venous walls to faulty venous walls. All these cause the veins to struggle to push the blood up and affect the blood circulation in the legs. Obesity is also another factor that causes varicose veins. Excess weight exerts pressure on the veins, and after some time the leg veins start to bulge and slows down blood circulation. The pooling of blood is caused by weakened veins and is worse with extra weight. Weight also causes venous pressure hence preventing blood from flowing back to the heart. Blood, therefore, is trapped in the veins of the legs and causes varicose veins. The bulging of varicose veins is also caused by lymphedema. Increased weight in the abdominal parts of the body exerts pressure on the groin lymph nodes causing lymphatic reduction flow. When the lymphatic flow is blocked, the legs begin to swell. When lymphatic fluid accumulates in the soft tissues of the legs, it causes inflammatory reactions. Obesity is also associated with blood clots in the lower limbs known as deep vein thrombosis (DVT). What other Complications could varicose veins cause? Extremely painful ulcers usually occur on the skin close to varicose veins, especially near the ankles. Skin Ulcers are caused by a prolonged buildup of fluids in these tissues and is caused by an increased rate of pressure in the affected veins. The pressure in the veins causes fluid to flow out of the veins under the skin. This damages the skin and causes thickening and swelling of the skin. When skin is damaged, it usually breaks down and forms an ulcer. The increased blood pressure within the veins of the lower legs is as a result of the collection of blood in the smaller veins near the skin. Blood pools accumulate since the valves in larger veins become damaged due to the blood clots that occurred previously. Gravity is also associated with ulcers of the skin as tends to pull down stagnant blood in the veins thereby tearing the skin. Varicose veins may sometimes cause blood clots in the veins. When veins get twisted or bulge, the flow of blood in these veins become slow or sluggish. This causes feigning blood clots known as superficial venous thrombosis or superficial thrombophlebitis. 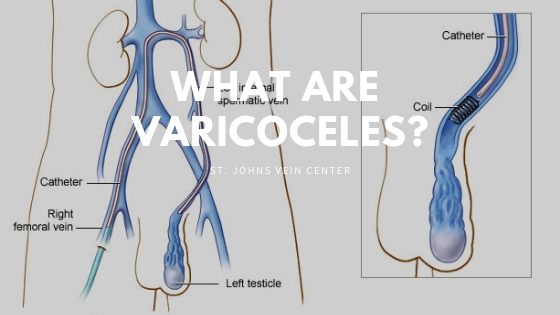 These clots that occur as a result of varicose veins cause swelling of the legs tenderness, pain, and redness in the affected part of the skin and within the affected vein. These clots usually don’t travel to the blood like clots from vein thrombosis and therefore don’t cause pulmonary embolism, or blood clots in the lungs. However, it’s vital that you seek urgent medical attention when you discover any swelling in the lower limbs. Varicose veins may sometimes cause veins that are close to the skin to burst. Since they are located near the skin, they may rupture and bleed profusely due to minor injuries on the skin. Occasionally, veins that bleed are small veins close to the ankle but do not necessarily cause pain, tenderness or bleeding. The pressure of the veins near the ankles and foot is almost as high as the pressure in the arteries due to valve failure in the veins and gravity. High pressures within the veins can cause the walls of the veins to stretch and cause weakness over a period. These veins can rupture suddenly and cause bleeding in the tissues via the skin surface if the skin overlying the vein becomes weak and thin. Bleeding due to varicose veins may be dire and can be life-threatening. Sitting or standing for long periods makes it difficult for blood to travel in the legs due to gravity. It causes a buildup of pressure in the region and eventually causes varicose veins. It is essential that you move around from time to time to improve your blood circulation. Try to elevate your legs from time to time if you are sitting in the office. Peddling and stretching of the ankles could also help. Exercise is vital in reducing varicose veins. The best form of exercise is walking. You could also try yoga, it helps tone and stretches muscles in the hamstrings and calves. These muscles to a certain degree can help the veins function correctly. Try eating a healthy diet could help reduce the chances of you being obese, which is a risk factor associated with varicose veins. Some foods to eat include diets that contain complex carbohydrates, healthy fats and sufficient amounts of protein. Also, take enough water and avoid foods that are high in salts. Instead, take food rich in fiber and lots of water. They help healthy blood circulation. High heeled shoes contribute to poor posture and minimize the full motion range of the ankle and foot when walking. Typically, when you walk with full range motion, the calf muscles contracts and forces blood up through the veins to the lungs and heart. When wearing high heels, full range movement is restricted and causes the calf muscles to contract. This results in the calf muscles not being able to push blood up through the veins and eventually causes blood pooling in the legs. So it advisable that you wear flat shoes when walking for long distances. To diagnose varicose veins, the doctor is likely to examine the legs for any visible vein while you are seated or standing. The doctor may inquire about any pain or symptoms you are having on the legs. The physician may also use an ultrasound to check for the blood flow in the legs or whether there are any blood clots in the veins. During this test, the doctor injects a small hand-held device known as a transducer usually the size of soap over the skin of the affected area. This device transmits pictures of the affected veins to a monitor, and the doctor can see which veins are affected. The doctor may also use a venogram depending on the location to further evaluate the veins. During the test, the physician uses a special dye to inject into the legs and takes x-rays of the area. The dye appears on the x-ray and gives the doctor a better view of the flow of blood in the legs. These tests are essential in that they ensure other disorders like blood clots or blockages don’t cause swelling and pain in the legs. Generally, health practitioners are conservative in the treatment of varicose veins. They would probably advise you to adjust the diet you are taking rather than going for more sophisticated treatment. However, if you already have varicose veins, it won’t cost you much time stay in the hospitals. Often, patients with varicose veins are treated on an outpatient basis. You may consult the doctor to determine whether insurance will cover for the treatment. However, if varicose veins were caused purely by entertainment basis like wearing high heels, you would probably have to pay that yourself. The doctor, however, will advise on self-care like losing weight, elevating your legs, avoiding prolonged sitting or standing and not wearing tight socks. Compression stockings and socks help keep the valves of the lower limbs in right position. It makes the veins to function correctly and reduces pain swelling and blood pooling. There are several types of compression socks to wear depending on the condition of the damaged veins. Therefore, it would be a good idea to first talk with a physician to help choose the right ones for you. They range from extra firm, firm, moderate and mild. If self-care isn’t working for you, the doctor may suggest one of these treatments. I. Laser surgeries – laser surgery is a recent technology used by doctors to remove spider veins and varicose veins. Laser surgeries work by transmitting bright string light into the veins that make the veins fade slowly and eventually disappear. It doesn’t require any incision or needles. II. Sclerotherapy – sclerotherapy involves the injection of specific solutions to small and medium-sized varicose veins that scars and closes them completely. The treated varicose veins fade after a short while. Sclerotherapy is an effective mode of treating varicose veins, but the same vein may need to be injected more than twice. The process doesn’t require anesthesia and can be done by a qualified physician. III. Foam sclerotherapy – treatment of large varicose veins may be done by foam sclerotherapy. This is a new technique and also uses a particular form to treat affected veins. IV. Endoscopic vein surgery – endoscopic surgery may be required if your varicose veins may include leg ulcers. The doctor inserts a tiny camera in the legs to visualize and close varicose veins and gets rid of them through small openings. V. Ambulatory phlebectomy – this procedure involves the removal of smaller varicose veins through a series of small skin punctures. The doctor numbs part of the affected veins and pricks them. The scars are minimal. VI. High vein stripping and ligation – this procedure involves removal of smaller veins before they join deeper veins. The doctor removes them through small incisions. The process is done on an outpatient basis for most people. Removing tiny varicose veins will not seriously affect blood circulation since deeper veins take care of large volumes of blood. It is always advisable that seek your doctor’s advice on these dietary supplements to ensure they are safe with your health. You may likely have a shorter time with the doctor and may forget some of the essential questions to ask, and so it is important that you write them down. — What might have caused the symptoms I am experiencing? — could be caused by any other condition? — are there tests that will be taken? — can my insurance pay for the treatment? — can varicose veins be treated? If so, what treatments do I need? — is it possible to manage varicose veins with other health conditions I am experiencing? — What activities am I restricted to follow? — Is there any resourceful information I can get from the internet? Alternatively, any brochures or printed materials that may be helpful? What can you expect from the doctor? — How long has it been since you first noticed varicose veins? — Do you feel pain? If so, how painful is it? — What symptoms seem to aggravate the condition? Varicose veins are very common, especially in women. Many contributing risk factors can be easily controlled, but we can stay active and healthy to reduce the risk of developing varicose veins. Varicose veins might at times be severe, and it is vital that you seek medical attention. You should be able to provide clear details of the condition for better treatment. In general varicose veins is a manageable condition if only you stick to your doctor’s advice and practice self-care.